Add value & appeal to your home or business. When it comes to adding curb appeal to any home or business, nothing ups the ante on the “wow” factor like a fresh exterior paint job. But for the exterior of your home, garage, business, or office building, not just any paint job will do. That’s why you call a professional. Our team of painters and project managers will help you with your exterior painting project from start to finish—ensuring your finished product is nothing short of perfect. Interested in our exterior painting services? 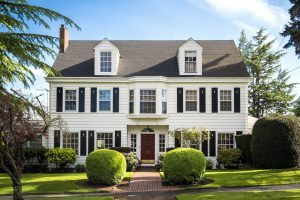 Exterior paint jobs are never easy, and many good-natured do-it-yourselfers find themselves quickly in over their head before their painting project even gets started. Our team of professionals at Color Concepts Painting have the skill, experience, and equipment to ensure that every exterior painting job we start gets done on time and on target. Attention to detail with every stroke. Can cover all exterior materials including brick, wood, and vinyl siding. Our team of professionals can add noticeable value to your home.